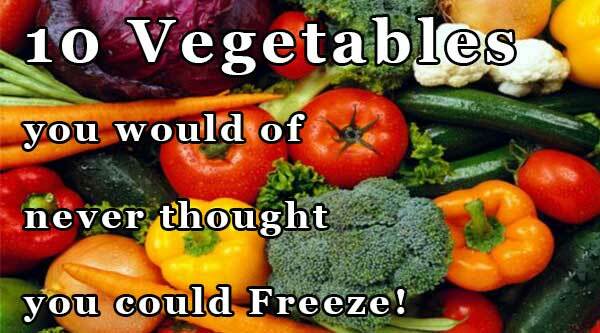 You are at:Home»Today I learned»10 Vegetables you would of never thought you could Freeze! Keep them Fresh, Sustain Nutrient Goodness and have fresh produce at the Ready! I decided to do some research on Freezing Veg to see what was possible. I started with Kale as I use it to make my Super Food Juice and cannot find it as easily as I can in Winter plus I am not going to use a large bag of Kale even within the week so it just goes to waste. How to Blanch: Bring a pot of water to the boil, add veg for suggested amount of time (see below) take your veg out of the boiling water then add veg to cold water (no harm in adding ice to cool the veg fast). Leave it to cool for a couple of minutes then drain water and place veg into freezer bags. – Keep them Fresh, Sustain Nutrient Goodness and have fresh produce at the Ready! 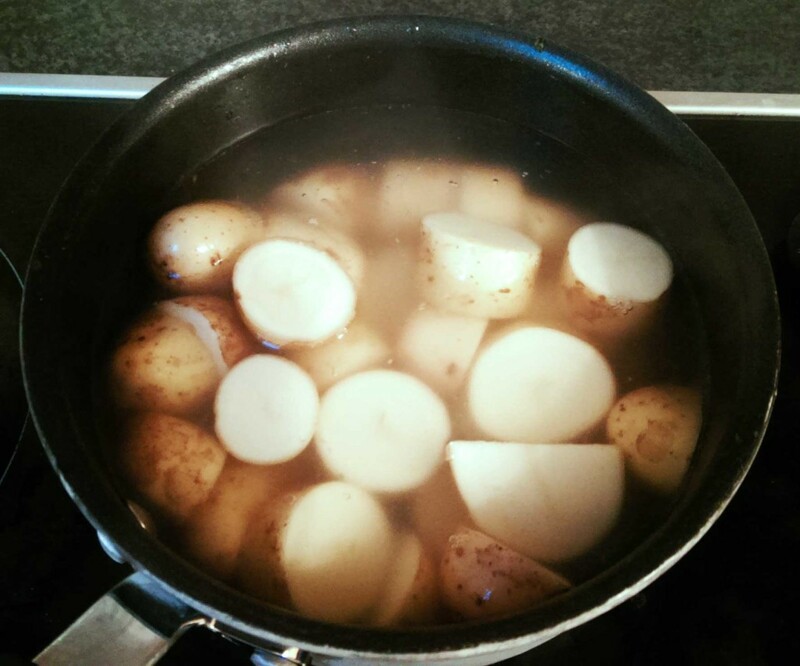 Potatoes – Get a small bag of Potatoes and empty them onto your chopping board. Cut the potatoes in half or into 4 pieces, depending on how you like them. Blanch for 5-10 mins depending on size, freeze and they can last up to 12 months. From a small bag of potatoes I now have roughly 15 portions, happy days! Asparagus – It is best to blanch asparagus to keep its beautiful bright green colour and to preserve its nutrients. You only need blanch your asparagus for a couple of minutes. I chopped mine into pieces that I would used for a stir fry and then after leaving them to blanch I placed them in cold water and packed them into the freezer. Out of one stack of asparagus I now have roughly 10 portions that are now easy to grab and ready to use for my next stir fry. See video for directions. Baby Corn and Corn on the Cob – We all know baby corn can go off within a day sometimes so this is a great option especially for this type of veg. You can freeze both without blanching although it will only last two to three months. If you decide to blanch your corn it will last up to 10 months. For corn on the cob follow the same procedure but slices it into portions to make it easier to blanch, freeze and defrost. Carrots– Another great veg that we use a lot in the home: be it your everyday dinner, a stir fry or Sunday roast, having carrots on hand is an essential! Wash, peel and chop your carrots, blanch and freeze. My mother blanches all her carrots around Christmas time to make it easier and so that she can be prepared on Christmas Day as well as having back up veg ready for the rest of holiday season as there is always plenty of mouths to feed in our house! Peppers – Bell Peppers, Jalapenos & Chilli’s – For freezing your Bell Pepper, first wash then cut into slices removing seeds and membranes and blanch for two minutes. After cooling in cold or ice water, pack and freeze. Use seal tight bags when you can for best results. For Jalapenos and Chilli’s you do not need to slice them up simply blanch for a minute or so depending on size and freeze. Another great way to preserve your Chilli’s as mine always go off after one use before I get to use them again. Needless to say it will not have to happen again. Broccoli – Remove leaves and woody portions. Separate heads into convenient-size sections. Blanch for 3-5 mins depending on size and freeze which will last for 8-10 months. If you skip the blanching step with Broccoli not only will it taste horrible but you rid it of its nutrients. Onions – While onions are not the worst for going bad too fast you still want to get the best out of your veg if your are trying to eat healthy and reap all the benefits. So it is best to chop your onions into slices after you have peeled the main layer off. Then pack and freeze. You do not need to blanch your onions as they will last 3-6 months without being blanched. Spring Onions/Green Onions – I could not seem to find anything on blanching these type of onions probably because they are so small once sliced and diced. So to prepare, just wash, chop and pack away. Freezing Spring and Green Onions will only last up to 40 days. Kale – Personally, I did not blanch my Kale before freezing as I was using it to make Juices that I would be used within two weeks. If you are using your Kale for a salad then there is no need to blanch it either, but I would suggest blanching the Kale if you are planning to cook with it to get the best flavor from it. Try freeze in portions same as a lot of the veg prep above so that you can quickly grab a portion easily. Brussel Sprouts – Again another prep step my Mother takes before Chrismica! You need to blanch for 4-5 mins before freezing depending on size. Hey Presto, you are sorted for Christmas dinner and all the non stop eating holiday days to follow.